Hopefully you’ve chosen the right garment for your printed artwork or logo, now it’s time to look at how to properly care for them. 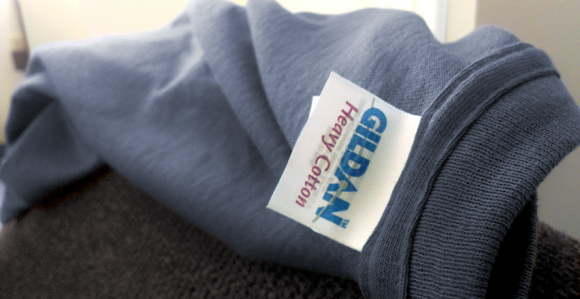 Since each material requires a certain technique to be properly cleaned, we’ll explain how to read the label attached to your clothing and how to care for newly screen printed and embroidered apparel. 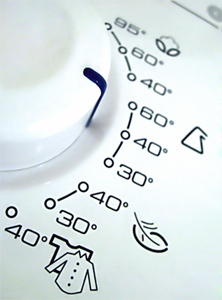 After looking over the label to spot specific care instructions, you’ll need to wash your apparel in cold water. Hot water can damage screen printed artwork and even cause the colors to bleed, especially if it’s the first time you’re washing a freshly printed shirt. Cold water is gentler on the fabric and artwork alike. It’s also a good idea to wash your new screen printed shirt a few times by itself since newly printed apparel can bleed inks. This is normal and will stop after a few washes. This can affect the colors of your imprint and the color of your shirt. If your shirt is stained, spot clean it appropriately for the stain. Hot water spot cleaning for most stains is acceptable but do not use hot water on blood stains; doing so will set the blood stain in making it impossible to remove later on. Most people just toss their clothes into their laundry and forget about it. 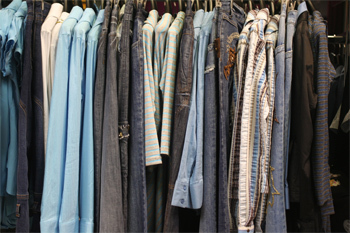 Turning your clothing inside-out helps prevent wear and tear on the outside of your shirt, pants, shorts, etc. This also prevents those annoying and unsightly looking pills from forming on the outside of your clothes. Not only can this crack screen printed artwork, high heat can deteriorate the fabric itself. 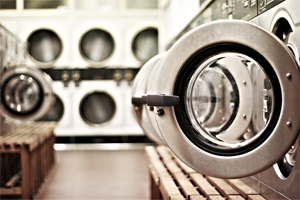 Use a low to medium heat and remove your garments before they’re completely dry and let them air dry on their own. If you prefer to air dry your garments using good old fashion sunlight, that’s more than acceptable. Obviously washing with like colors will prevent the dreaded “pink socks” affect, washing with like textures keeps your apparel looking fresh. The major cause of pilling is washing fabrics of varying textures and not only is this a pain in the neck to remove, the friction caused by washing say a bath towel with a screen printed t-shirt is that the towel can scratch and even crack the artwork—it’s like using a rock instead of a sponge to clean your skin. Do not iron directly on the embroidered design. If ironing is needed, flip the shirt or garment inside out and iron appropriately to the fabric type. Use light detergent like Woolite to clean the garment. Wash in cold or warm water and dry at low to medium temperatures. High heat can cause the design to shrink and pucker. As with screen printed drying methods, pull the garment out when it’s not quite dry and let it dry on its own. It’s a lot to take in, but proper care pays off and should reward you with a great looking shirt that should last as long as it still fits you. 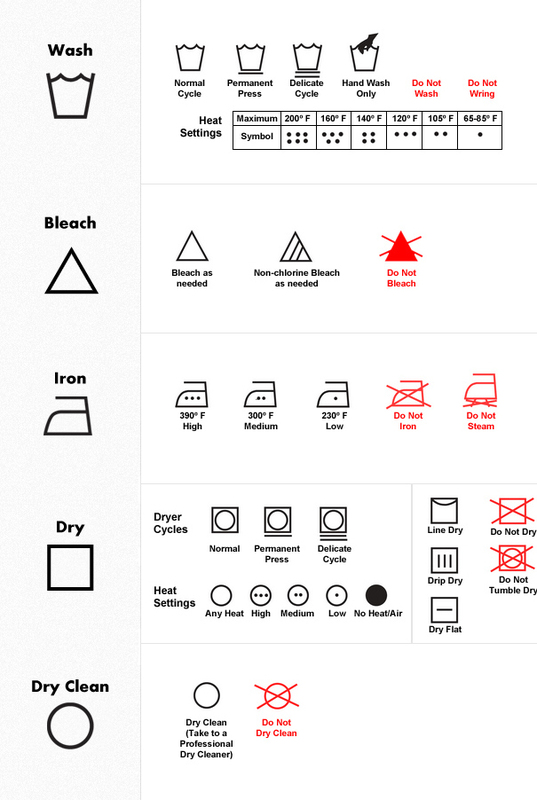 And who knows, your shirt may become a rare vintage masterpiece if it’s still intact and the only way that’s possible is with these proper care techniques.